Tanner (2009) estimates the Wu population to be about one-sixth of the Han population. This would be much more than the numbers given in 238 and 280, and could be because of census methods used in ancient China. Three Kingdoms period, and "Sun Wu" because the family name of its rulers was "Sun". During its existence, Wu's capital was at Jianye (present-day Nanjing, Jiangsu), but at times it was also at Wuchang (武昌; present-day Ezhou, Hubei). Eastern Wu was established, the territory was defended by the Sun clan in the Battle of Red Cliffs. Sun Quan had kept Wu in a warlordism reflected state. When Wu was initially founded its military was dominated by famed generals who had gained their positions through prowess and pluck. These generals were celebrated for their individualism. Politics within the court were often influenced by conflicts between powerful families and individuals. 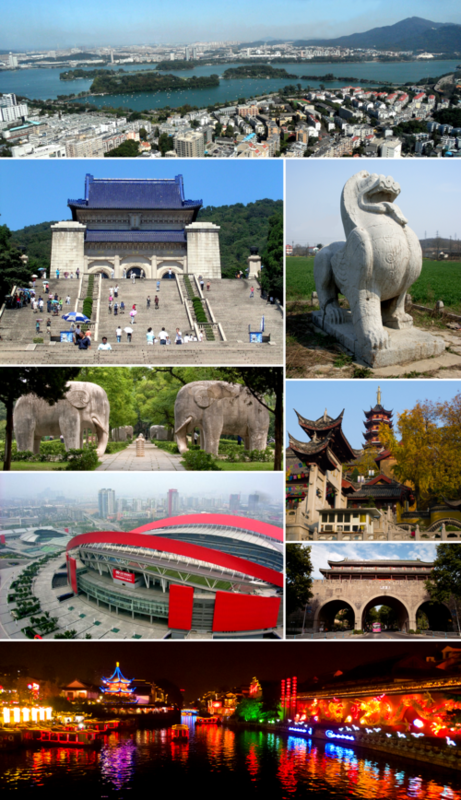 Positions within the court were inherited from one generation to the next unlike the Han dynasty's bureaucracy. However, over time, the influence ultimately would move away from the central government. Outside of the court, families displayed their own independent authority. 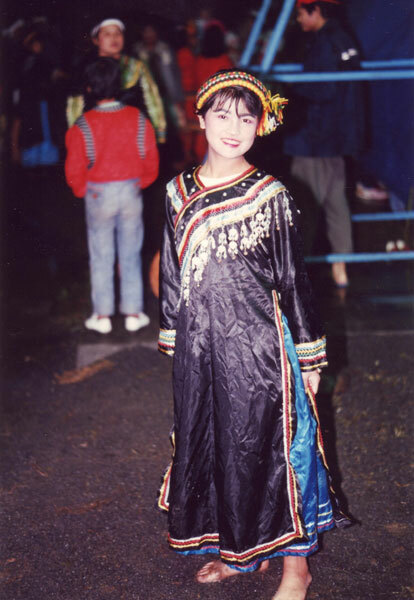 Wu, at times, was to a certain extent run for the protection of particular families. Shizu 始祖 Emperor Wulie 武烈皇帝 Sun Jian 孫堅 (N/A) (N/A) Sun Jian's temple and posthumous names were granted posthumously by Sun Quan. (N/A) Prince Huan of Changsha 長沙桓王 Sun Ce 孫策 (N/A) (N/A) Sun Ce's posthumous name was granted posthumously by Sun Quan. Sun Quan adopted the era name "Huangwu" in 222 after declaring independence from Wei. However, he continued ruling under the title "King of Wu" and did not proclaim himself emperor until 229. Sun Liang became "Prince of Kuaiji" (會稽王) after he was dethroned by Sun Chen in 258. 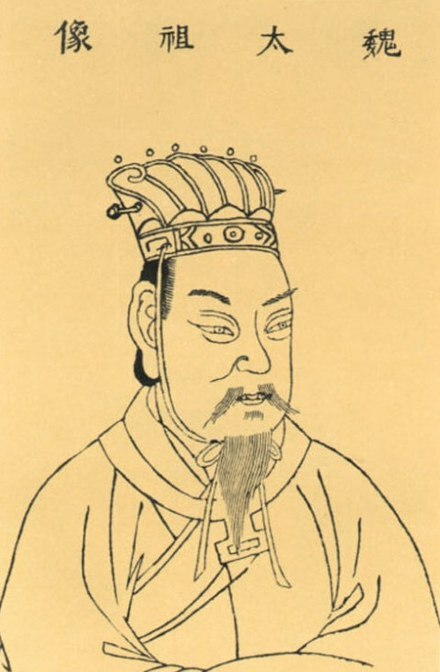 In 260, his successor Sun Xiu further demoted him to "Marquis of Houguan" (侯官侯). (N/A) Emperor Wen 文皇帝 Sun He 孫和 (N/A) (N/A) Sun He's posthumous name was granted posthumously by Sun Hao. Sun Hao held the title of "Marquis of Wucheng" (烏程侯) before he became emperor in 264. In 280, after surrendering to the Jin dynasty, he was granted the title of "Marquis of Guiming" (歸命侯) by Sima Yan. 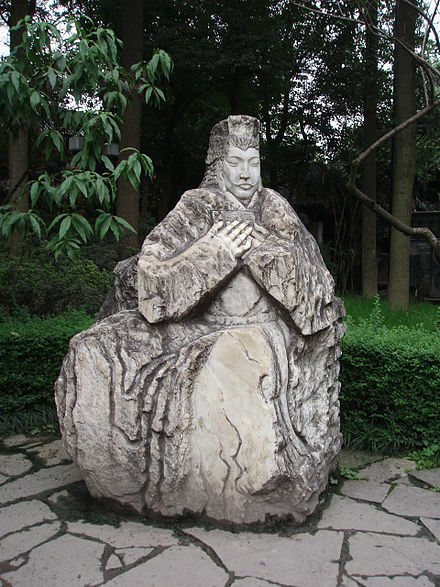 He is also sometimes referred to as "Emperor Mo of Wu" (吳末帝), which literally means "last emperor of Wu". Eastern Wu funeral urn, dating from the third century, on display in a museum in Tokyo, Japan. Yan Liben in the Tang dynasty. Sun Quan at Meihua Hill, Purple Mountain, Nanjing, Jiangsu. Eastern Wu took control of the commandery, it was unknown whether it still existed. The commandery capital was unknown. 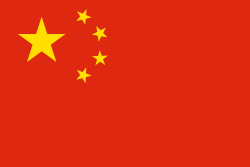 China (4th ed., corr. in the 3rd print. ed.). Berkeley: University of California Press. ISBN 0520032683. ^ a b c de Crespigny 1990, 4. ^ de Crespigny 1990, 6. ^ de Crespigny 1990, 6–7. ^ de Crespigny 1990, 7. ^ de Crespigny 1990, 8. ^ de Crespigny 1990, 1. ^ de Crespigny 1990, 9–10. ^ a b c de Crespigny 1990, 10. ^ de Crespigny 1990, 10–11 ^ de Crespigny 1990, 11. 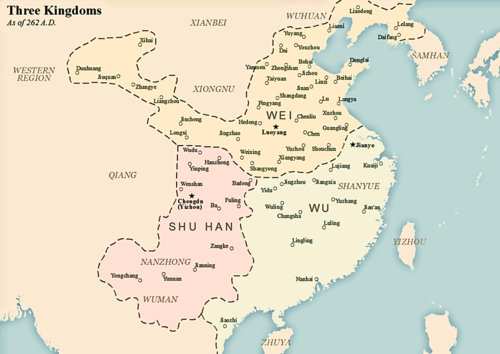 Three Kingdoms State of Wu (2004 Internet ed.). Cambera: Faculty of Asian Studies, The Australian National University. ISBN 0731509013. Archived from the original on 9 July 2012. Retrieved 22 September 2016.